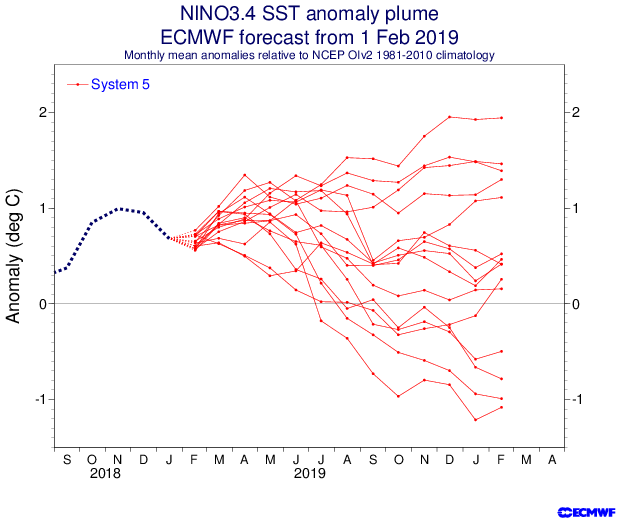 Shell Mound wrote: If we are going to see a full-blown El Niño in 2019, we may as well seek another super Niño à la 2015-16. A very strong WWB could significantly strengthen the subsurface warm pool. 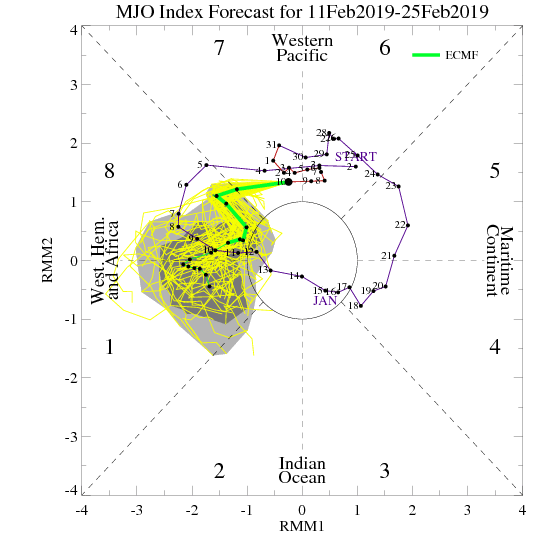 If this upcoming WWB were to fully materialise, then I would definitely expect not just El Niño, but also a potentially strong or even very strong event. Since 2015-16, the Pacific seems to have entered into a subsurface phase that retains more heat than previously, and thus makes stronger and/or more persistent El Niño events more plausible, at least when other factors line up. I highly doubt that. Super El Niño events are rare and it would be quite unusual to see another super Niño so soon. 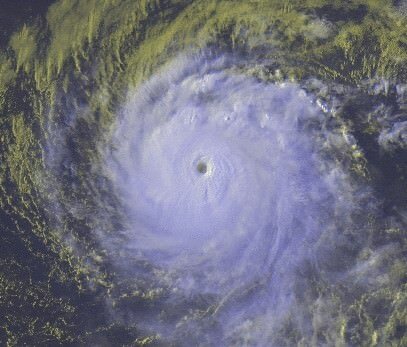 But has the Pacific really entered a state that makes El Niño more likely? El Niño busted in 2017 and struggled to get going in 2018. The thing is, 2017 and 2018 shouldn't have even been in consideration to be El Nino years. So even if they struggled/busted in attaining El Nino status, the fact that there was a possibility is eyebrow raising. It is possible that we may be seeing something serious forming. It's also just as possible that nothing materializes considering how 2017 and 2018 went. If I'm reading the subsurface correct, the late February/March WWB that triggered the 2015 super El Nino did not have the subsurface as warm as we currently do. So with this WWB event looking to be as strong or stronger than the one in early spring of 2015, there is great potential for 2019 to be an El Nino year if everything materializes and we get continued atmospheric coupling. I think the better question to ask is how the warming overall of the tropical Pacific has wrecked havoc on usual indicators of ENSO. 28C+ is usually reserved for the WPAC and Indonesia but now frequents the central and east Pacific that throws confusion on the walker circulation. We have to put aside "anomalies" for a moment and think in terms of actually SSTs. 28C is important as it is the threshold to sustain tropical convection. How will the atmosphere react when both the maritime and Pacific lights up with thunderstorms releasing mass amounts of heat and energy? In the past usually it is one or the other but we are now seeing more often conflicting signals. The above post and any post by Ntxw is NOT an official forecast and should not be used as such. It is just the opinion of the poster and may or may not be backed by sound meteorological data. It is NOT endorsed by any professional institution including Storm2k. For official information, please refer to NWS products. Ntxw wrote: I think the better question to ask is how the warming overall of the tropical Pacific has wrecked havoc on usual indicators of ENSO. 28C+ is usually reserved for the WPAC and Indonesia but now frequents the central and east Pacific that throws confusion on the walker circulation. We have to put aside "anomalies" for a moment and think in terms of actually SSTs. 28C is important as it is the threshold to sustain tropical convection. How will the atmosphere react when both the maritime and Pacific lights up with thunderstorms releasing mass amounts of heat and energy? In the past usually it is one or the other but we are now seeing more often conflicting signals. If we continue to see 28C+ across the Pacific ocean then I'm assuming all the rising air will stay there and the sinking motion will spread into the Atlantic and Indian Ocean. Euro February update, the member mean pretty much shows neutral ENSO conditions for the hurricane season. Ventrice has a Twitter thread that confirms above comments about the WWB and more important,atmosphere is coinciding now. Yup, the Euro is showing a pretty substantial WWB as well and relaxed trades across the entire EPAC basin. This post was probably an opinion of mine, and in no way is official. Please refer to http://www.hurricanes.gov for tropical systems, or http://www.weather.gov for general meteorology related stuff. cycloneye wrote: Ventrice has a Twitter thread that confirms above comments about the WWB and more important,atmosphere is coinciding now. Its large and strong on the Euro. The GFS is sinply extreme. The CPC weekly update has Niño 3.4 going up from +0.3C last week to now +0.4C. Note=The always important CPC monthly update will be up on Thursday the 14th. Let's see if they issue El Niño Advisory. ECMWF WWB forecast not as strong as GFS. cycloneye wrote: The CPC weekly update has Niño 3.4 going up from +0.3C last week to now +0.4C. With several recently weekly values below +0.5C I don't think they will issue the El Niño advisory yet. Maybe March if the WWB materializes as shown as models. NCSU meteorology student and weather blogger at www.cyclonicfury.com. My forecasts and thoughts are NOT official, for official forecasts please consult the National Hurricane Center. ONI is the standard. The most recent ONI (with cooler weeklies) still read 0.8C. It is well above, the next one may come in at 0.6C so it will be more than enough. WWB coming is a big one. Kind of Eerie the sluggish Nino resembles 2014-2015 and now we are sitting in a close thermocline transformation as 2015. I don't think we will go Super but a 1987-1988-like second year event is not impossible. cycloneye wrote: ECMWF WWB forecast not as strong as GFS. That's because the GFS has higher amplification in phase 8 and spends more time in phase 8 compared to the Euro. 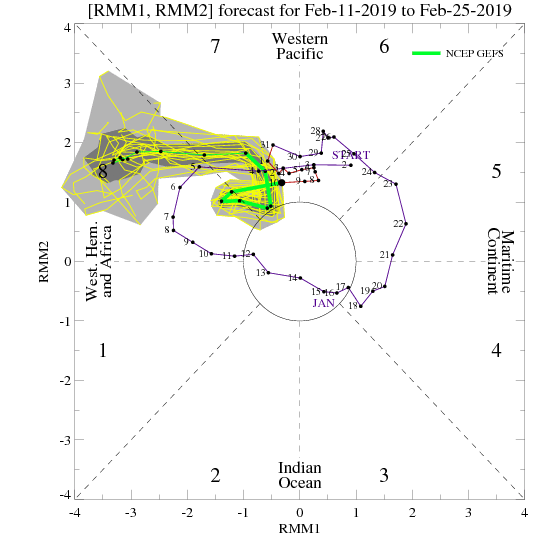 However Euro spends decent time in phase 8 and then goes into phase 1, which is why you see a solid and strong WWB over the dateline, and very relaxed trades across the entire EPAC, vs. just an extreme WWB over the dateline. Both the Euro and GFS zonal wind depictions help El Nino formation. Ntxw wrote: Kind of Eerie the sluggish Nino resembles 2014-2015 and now we are sitting in a close thermocline transformation as 2015. I don't think we will go Super but a 1987-1988-like second year event is not impossible. Yeah and there is warmer anomalies this year compared to 2015 through February. I wonder what kind of subsurface anomalies we will see come March and April. It's incredible that from 2014-2019, only 2016 was never in contention to be an El Nino.